Say is the way for verified shareholders of all sizes to influence how the companies they invest in make decisions. Public companies have a major role in shaping how we live. Say users–whether they own fractions of a share through a 401(k) or an ETF, or many shares through a direct brokerage account–can now weigh in on how those companies impact those around them. Securely connect as many brokerage and stock accounts as you want and see which companies you have Say in. Every shareholder and every size of ownership counts—even if you own stocks through a mutual fund like a 401(K) or an ETF, you still get to weigh in. Grouped together, shareholders of any size can make their voices heard. 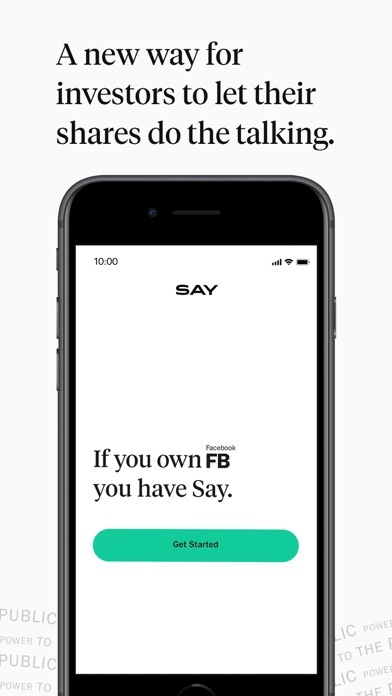 Say amplifies the voices of all verified shareholders by enabling them to ask questions on a company’s quarterly earnings call–a right usually reserved only for bank analysts. 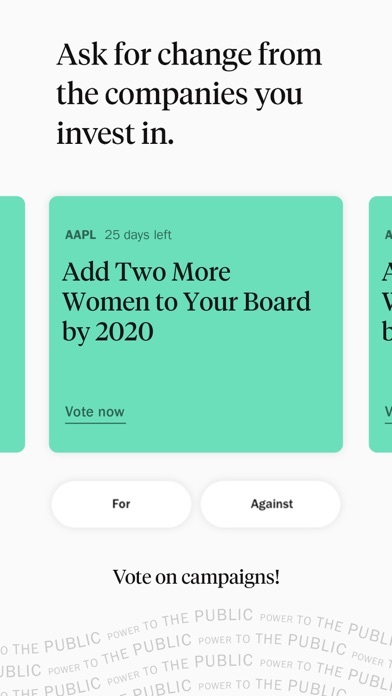 Shareholders can ask questions and then join forces and vote for fellow shareholders’ questions to make them more visible on the platform. Tesla’s retail shareowners got their top questions on Say answered by CEO Elon Musk during the company’s Q4 2018 earnings call. Shareholders have the power to make companies change. Groups of everyday shareholders have made corporations pollute less and pay women equally. 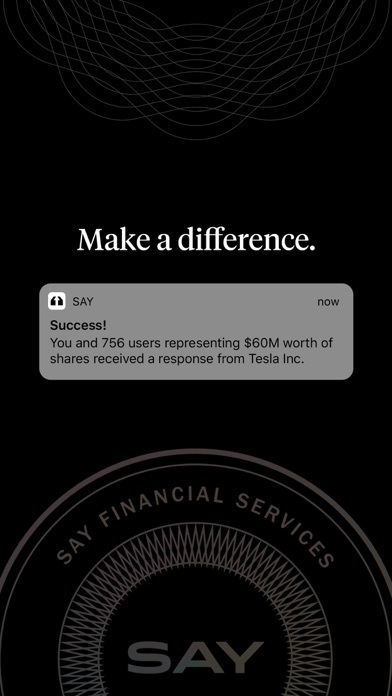 Shareholders can use Say to create Action Campaigns—a call for companies to change their policies around issue investors care about. 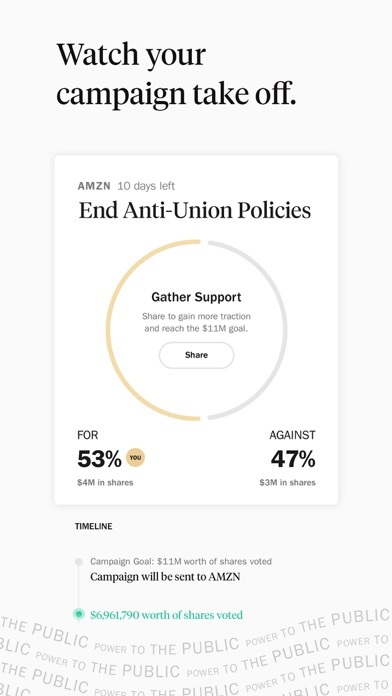 Then, they can watch their campaigns take off as they gather support from fellow shareholders on the platform. 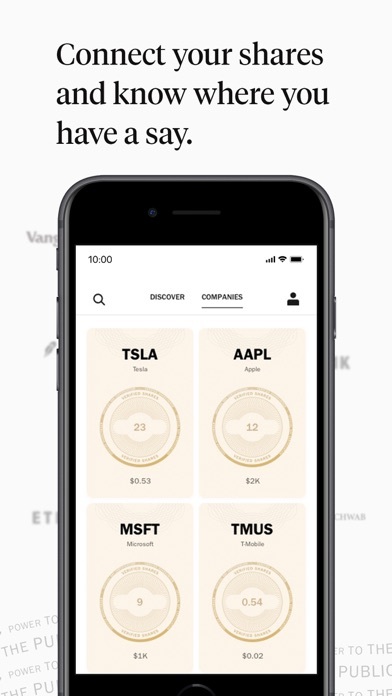 Get updates on the companies you invest in via the app and our newsletter––stay in the know with news and original content for all shareholders. Use the information to weigh in.